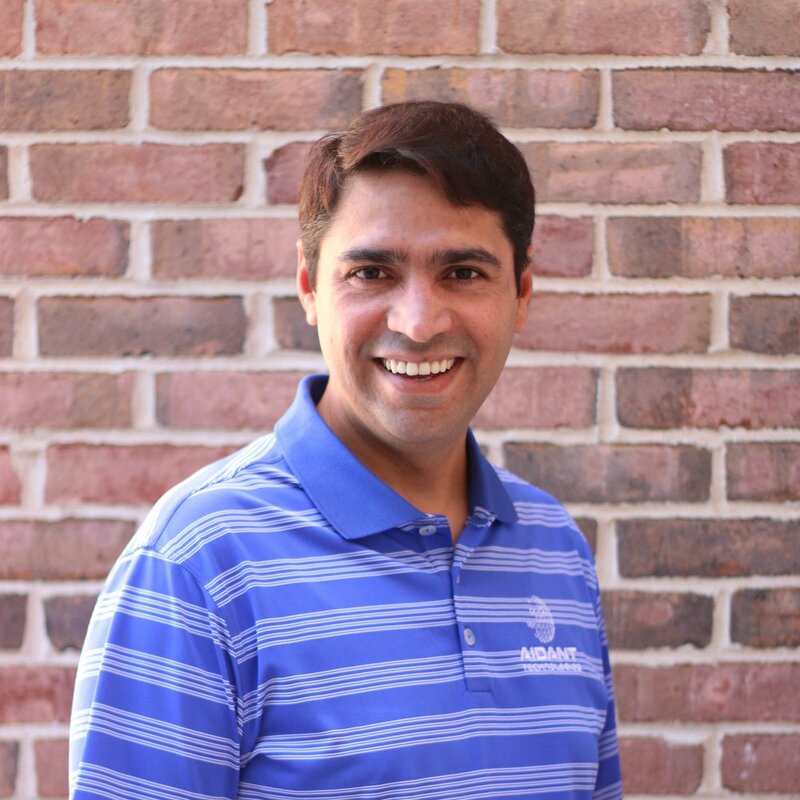 As a Managing Principal of Aidant Technologies, Amit Kumar leads the Aidant portfolio of Data Integration Products and Services. Amit manages strategic development, new technology innovation and excels in identifying key market opportunities to scale and leverage Aidant’s expertise. For almost twenty years, Amit has implemented and managed multiple engagements with small and Fortune 1000 companies, solving their complex data integration issues. Amit holds a Bachelor's Degree in Accounting and Economics from Mumbai University - India, a Post Graduate Degree in Information Technology from National Institute of IT - India and earned his M.B.A from the J. Mack Robinson College of Business at Georgia State University. Amit holds multiple industry certifications from Microsoft, IBM and Cisco. Read more about Amit's experience on his LinkedIn profile. As a Chief Architect, Paul Jones leads the Software Development Team at Aidant Technologies, LLC. Paul has been developing software and leading engineering teams on the enterprise level for over 15 years. Paul contributes to our clients’ success at all levels of the organization, with a particular focus on driving the development of the next generation of Aidant’s proprietary toolkits. He enjoys working with our clients to design the best solution for their needs, whether on-premise, in the cloud, or a hybrid of the two. Prior to Aidant, Paul was a Senior Developer at Quick Solutions for over 10 years. He has successfully delivered integration projects for clients in the supply chain, healthcare, insurance, manufacturing, consumer utilities, energy markets and retail industries. Paul has earned multiple recognition awards from clients over the years. Read more about Paul's experience on his LinkedIn profile. Wayne is a Senior Software Engineer responsible for architecting and developing applications to support the core products that Aidant builds and deploys to its customers. Wayne is a .NET developer with over 11 years of development experience in Microsoft related technologies. Prior to joining Aidant, he worked as a software developer for Cicero, Inc., a firm that provides activity intelligence and automation software that help organizations isolate process issues and automate employee tasks in the contact center and back office. Wayne also worked for Vertical Thought Technology Solutions where he worked with clients onsite to provide solutions to their business problems. He has a B.S. in Computer Science from Georgia Institute of Technology where his specializations were databases and software engineering. Lisa joined the Aidant Technologies team as the Vice President, Operations. Lisa leverages two decades of experiences in account management, project management and operations in digital agencies and data base marketing companies to oversee Aidant's marketing, operations and client management functions. As certified project manager (PMP) and Scrum master, Lisa has lead technical teams to deliver world class solutions for clients. Lisa has a B.A. from Carleton College and earned her MBA from the J. Mack Robinson College of Business at Georgia State University. Read more about Lisa's experience on her LinkedIn profile.